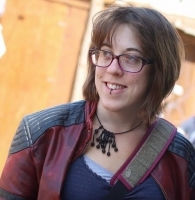 Jo Summers has over 10 years of experience curating and producing community technology events, including Hackathons, Barcamps, Maker Faires and videogame parties. She is currently the executive producer for Global Game Jam and GGJ NEXT - a worldwide game jam for kids. She is a passionate advocate for showcasing weird and wonderful games to the general public, as well as supporting and promoting diversity within the creation of games.